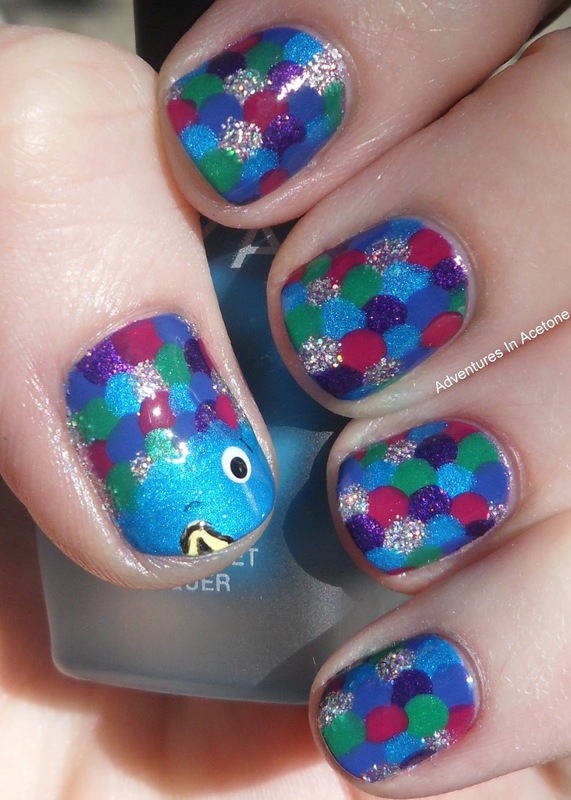 Day 2: Rainbow Fish Nails! Good morning! 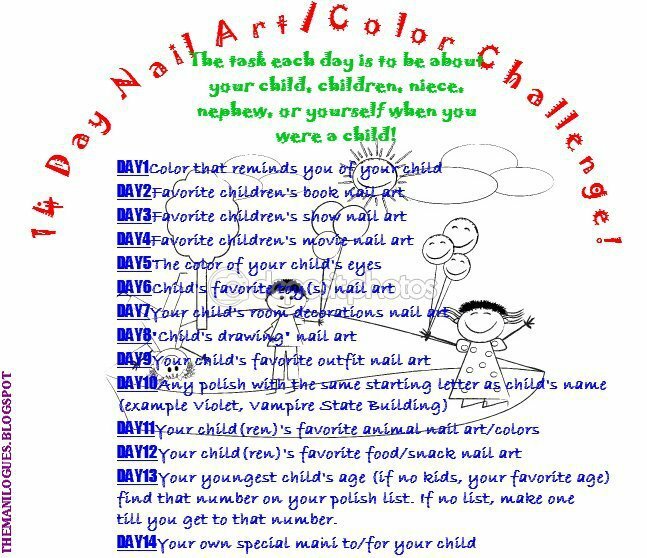 I am excited for Day 2 of this Challenge. 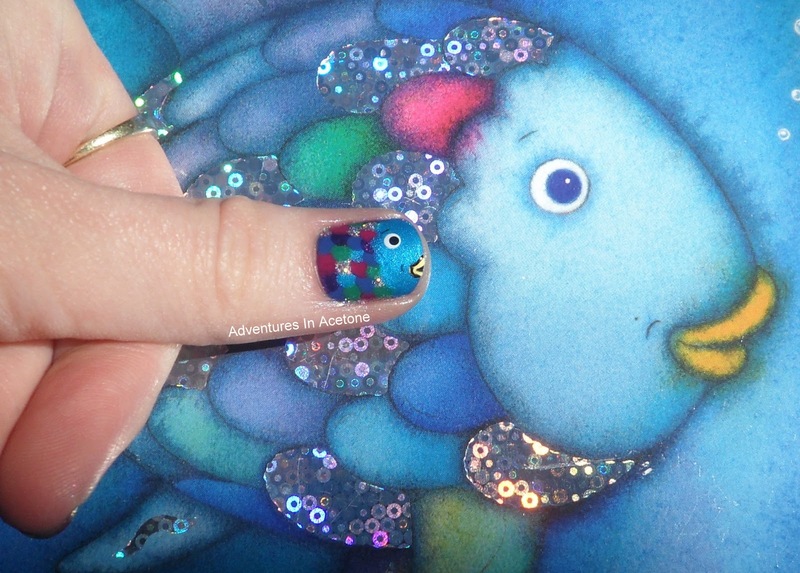 It is Favorite Children’s Book Nail Art. Since I recently did The Very Hungry Caterpillar nails, I had to go through Hailey’s books to find another that would make cute nails. 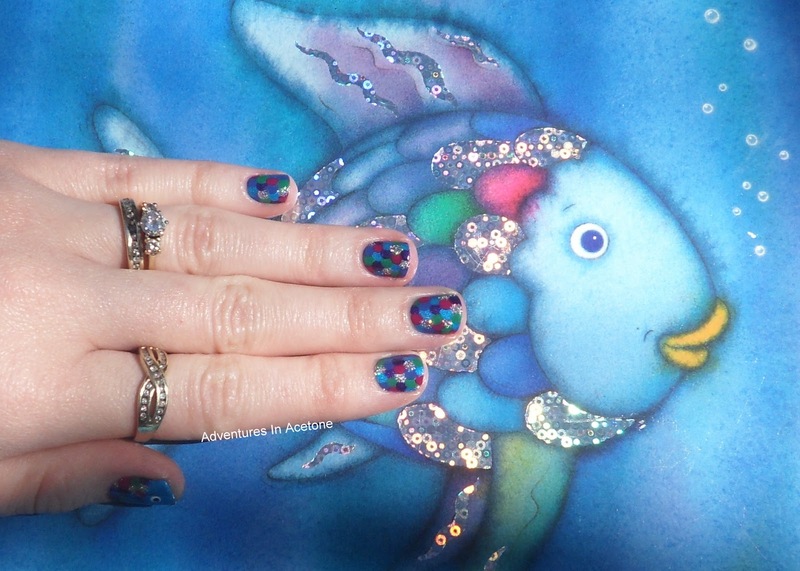 The Rainbow Fish won, especially after some googling came up with this post from Spektor’s Nails. It’s incredibly hard to get a picture of everynail! What do you think? 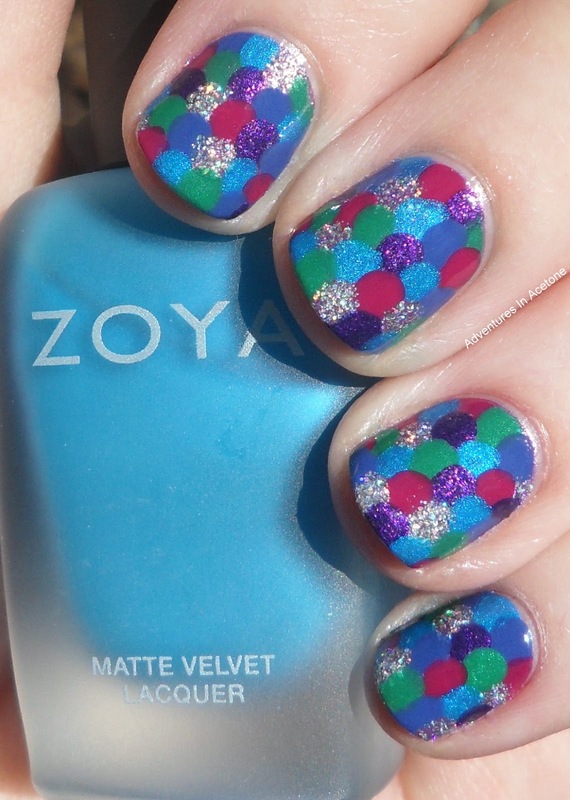 The most time consuming part of this mani was the cleanup since the dots overlapped onto my finger skin. Zoya Phoebe even stained some of my fingers. But overall, I am in love with this mani! Don’t forget this the challenge I’m participating in. Please join in! Thanks for reading! Also, a side note, I added some polishes to my Blogsale tab! Please check them out!! WOW, that is seriously awesome. Your scales came out absolutely perfect. Great job! OMG Jacki!!!!! You never cease to amaze me. I love it!!! This is amazing!! I love it!!! Between you and Mel @ Daily Nail, I have just never been SO covetous of anyone's mad polish skillz. Impressive as always! That is perfect! They look just like him! This is so cute! I'm doing the Girly-girl challenge right now, but I'm tempted to do this one too. Oh I like your version much more than mine 🙂 Very nice job! Soooo cute! I love this book and think I'm going to have to try this design myself! OMG, this is so amazing. I wish I had that kind of creativity. I am great at seeing other stuff and copying it or tweaking it slightly but have yet to make something really amazing on my own. I guess I just need the right inspiration. Love it!!! This Is Absolutely AMAZING!!! Great Job… You Are So Creative, I Always Love Looking At Your Nail Art! oh.my.god. LOVE THSI! my daughter loves this book, also. I'm definitely going to try to try this challenge. you did a fantastic job!! This is absolutely awesome! I love that you saw that picture and thought "I'm going to do that on my nails." Very very cool!! 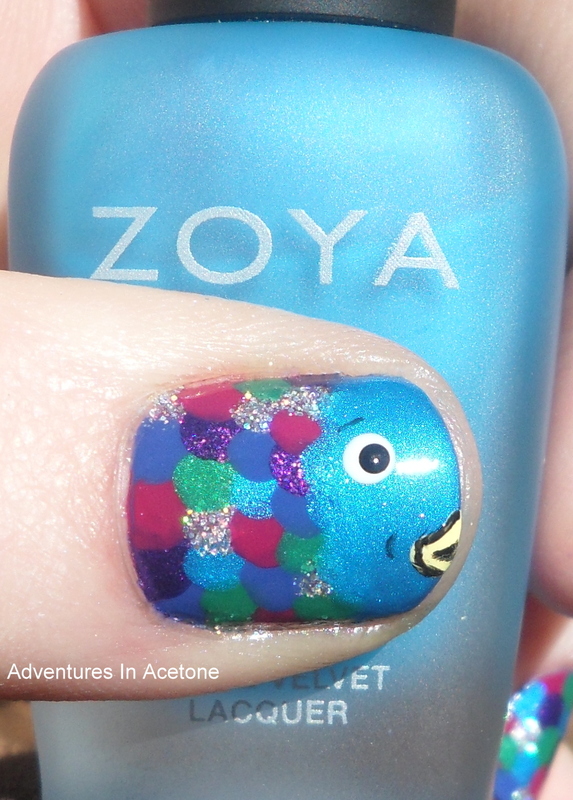 This is like the most adorable nail polish design I have EVER seen! I would love to try this……. not sure it will work out to well ! You are amazing for doing this! I am in love with it ! great job !!!!!!! How freakin' PERFECT! Your creativity is amazing! 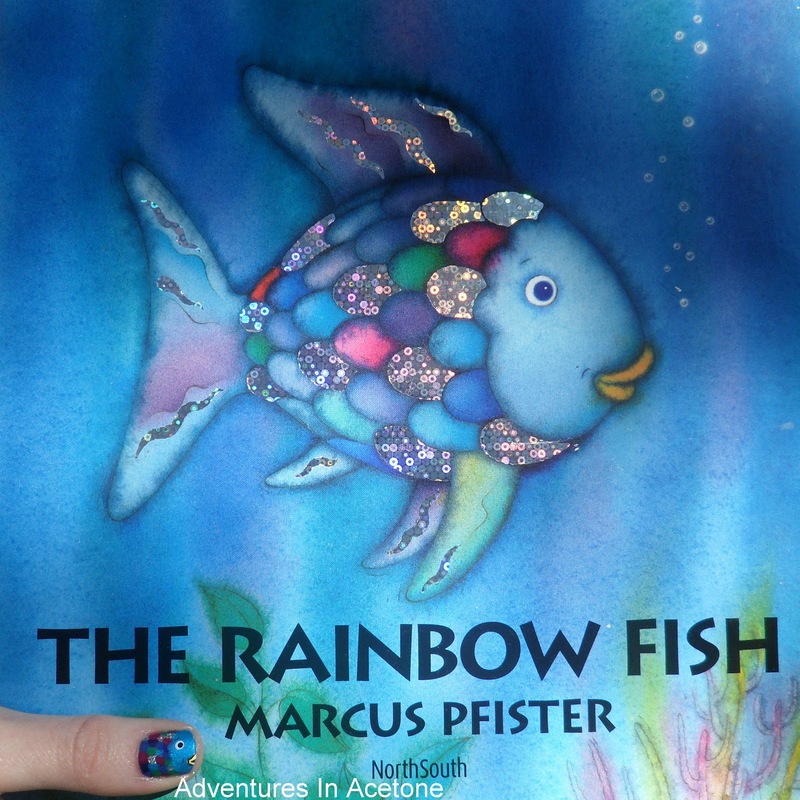 Wow, its look amazing this Rainbow Fish Design love it- you did the rockin jobs absolutely ! Selena Gomez Diet helped me to lose 14 pounds in 7 weeks. Check it out! 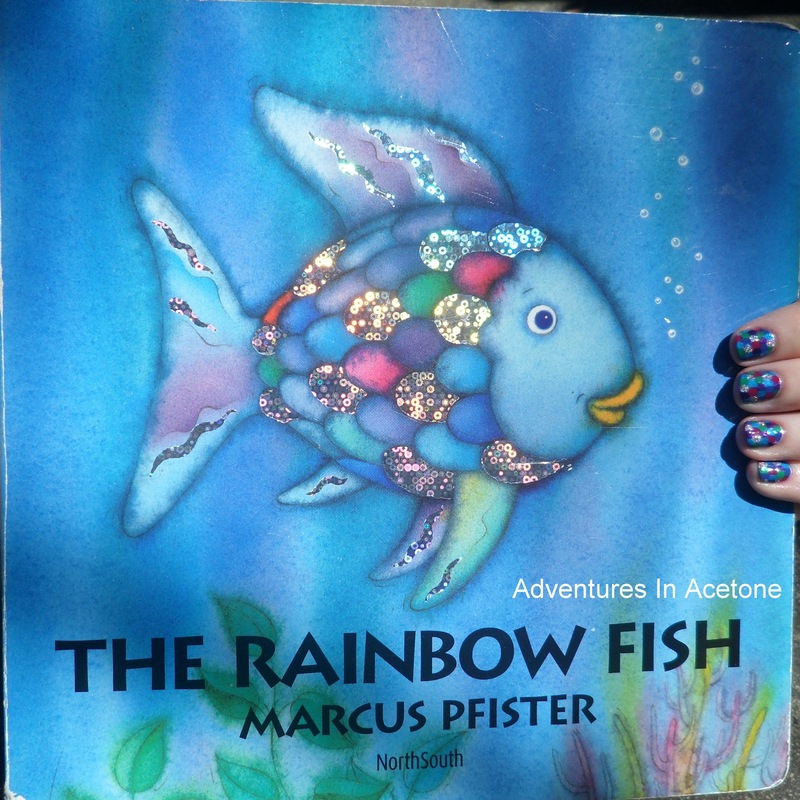 Omygosh, I read this book growing up! 🙂 Great mani. I'm new to your site and I am going to have to try this sometime. You did a great job. Thanks for sharing. Looks like something my son would like 🙂 Hello, mummy there 🙂 I have to look more into your blog.